Real Madrid have turned their attention to Paris Saint-Germain's Edinson Cavani as they eye a replacement for the departed Cristiano Ronaldo, AS reported. Ronaldo left the Bernabeu for Juventus on a €100 million transfer earlier this month, leaving a glaring hole in Madrid's attack. Cavani, who has been one of PSG's most popular players since joining from Napoli in 2013, would potentially fill that need as he scored 38 goals in all competitions last season -- and the striker would reportedly be interested in such a move. But given Cavani's status around the club -- he is one of chairman Nasser Al-Khelaifi's most-respected players -- he has had to delicately raise the topic of a transfer, according to the report. 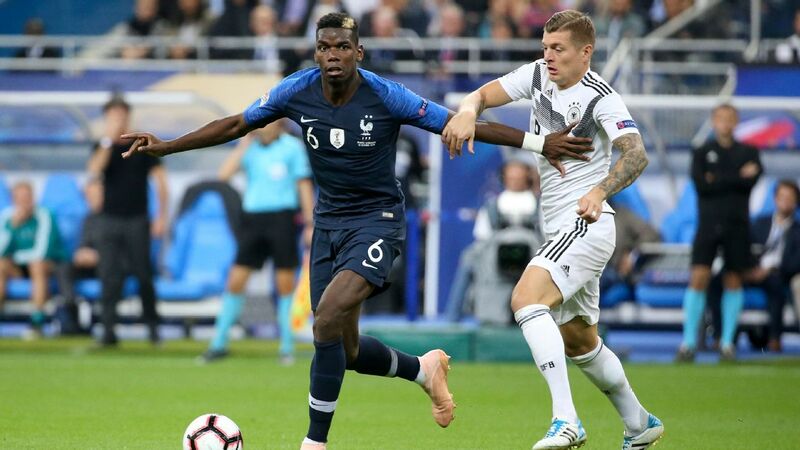 PSG, meanwhile, have decided they would be willing to let him go for less than €100 million, but Madrid would likely not be willing to meet his contract demands as the Uruguay international makes €12m a year. 23.00 BST: That will do it for another busy day with our Transfer Talk LIVE blog. Remember to check back in a few hours for more rumours, links and completed deals from around the world of football. Goodnight! 22.50 BST: Paul Pogba, Fred and... Arturo Vidal in midfield? Rumours are swirling that Vidal could be on Man United's wishlist once again and recent news out of the Bayern Munich camp has only fuelled those rumours further. Bayern CEO Karl-Heinz Rummenigge recently said of Vidal: "It is up to him to decide his own future." These comments make it seem that Vidal is free to leave if he wishes and according to Calciomercato, Man United top the list of suitors. The source also lists Atletico Madrid, AC Milan and Inter as possible contenders for the combative Chilean's services. One thing in United's favour... Vidal has the same agent as international teammate Alexis Sanchez who moved to Old Trafford just last January. 22.33 BST: -- DONE DEAL -- Free-falling Sunderland have signed Watford striker Jerome Sinclair on loan to help them start their ascent back up the English pyramid. The 21-year-old has had spells at Liverpool, Wigan, Watford and Birmingham but has only managed two goals and 22 senior games. Sunderland, who have now made eight new signings, will be in League One next season after back-to-back relegations. 22.18 BST: -- Swansea have confirmed that they and Turkish giants Fenerbahce have agreed in principle to a loan deal for forward Andre Ayew. The Ghanaian has left Swansea's preseason tour but still must pass a physical and be granted international clearance before he is unveiled as a Fenerbahce player. Ayew scored six goals and added five assists last season but always was likely to depart with Swansea having been relegated to the Championship. 22.00 BST: -- DONE DEAL -- Reading have signed goalkeeper Sam Walker from Colchester. The 26-year-old shot-stopper has played the last four seasons with the U's and previously worked with Reading boss Paul Clement at Chelsea as a youth player. 21.42 BST: -- DONE DEAL -- Fulham have signed Premier League and World Cup winner Andre Schurrle from Borussia Dortmund on a two-year loan. The 27-year-old winger has only produced three goals and six assists combined over the past two season but is a low-risk, high-reward purchase by the newly-promoted side. Schurrle joins Jean-Michael Seri, Fabri and Maxime Le Marchand as new arrivals to Fulham thus far this summer. Fulham earlier in the day signed goalkeeper Marek Rodak to a new deal and immediately loaned him back to Rotherham United for the second straight season. 21.18 BST: Man United are not giving up on signing Leicester and England centre-back Harry Maguire. 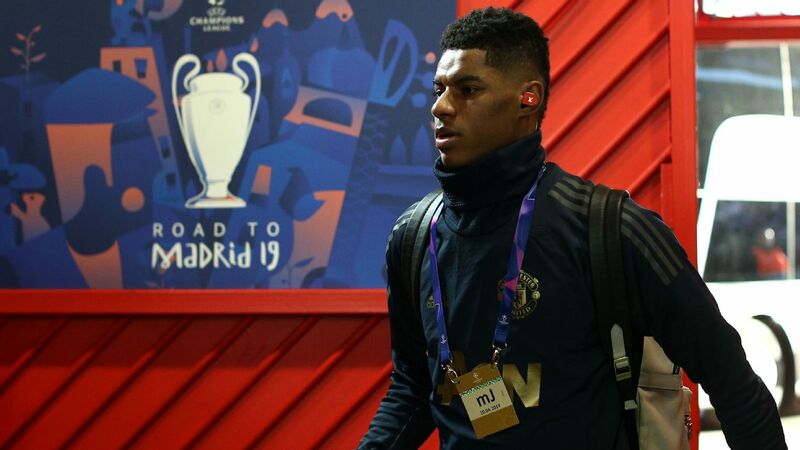 Jose Mourinho and Man United are insistent on the £65 million-rated man and believe eventually they will wear Leicester down and into selling him. According to the Daily Mirror, Maguire is keen to move up another level and is set to reject a new £100,000-a-week contract from Leicester. We will be monitoring this one closely as the season gets closer and closer. 20.59 BST: -- DONE DEAL -- Man City have confirmed they have signed talented French youngster Claudio Gomes from PSG. the 18-year-old played last season with PSG's Under-23s last season and has already joined up with City in the United States for their preseason tour. 20.37 BST: Newcastle look to be closing in on signing Swiss defender Fabian Schar, according to the Guardian. The Deportivo La Coruna centre-back would be Newcastle's fourth recruit of the summer and would cost the Tyneside club about £3 million. 20.16 BST: -- Wolves have been busy since being promoted and look to have more business brewing. 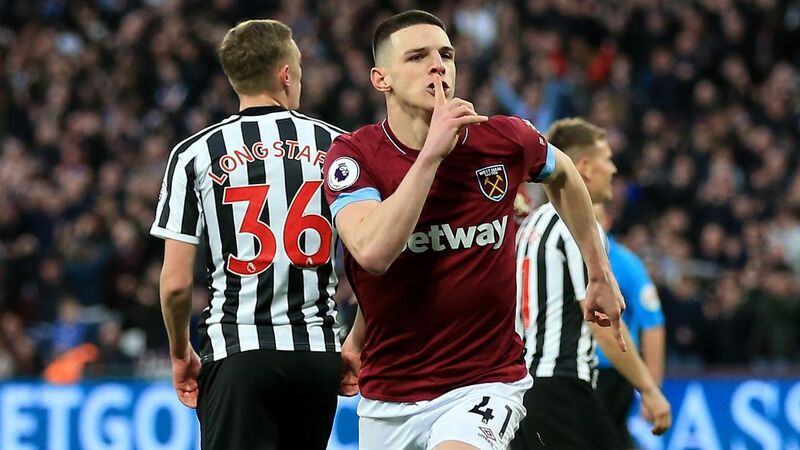 The newly-promoted club made their ninth addition of the window earlier in the day by signing defender Jonny on loan from Atletico Madrid and are now being linked with an English-based winger. According to the Sun, Middlesbrough winger Adama Traore is the target, with Wolves boss Nuno Espirito Santo keen to activate the former Barcelona product's £18 million release clause. The 22-year-old Traore finally started to deliver on some of his promise last season at Boro, scoring five goals and 10 assists in helping them to the Championship play-off. A pacy player who tends to overdribble, Traore's rise has stalled since he has moved to England from Barcelona. 19.50 BST: -- DONE DEAL -- Another done deal. Brighton have signed Iran winger Alireza Jahanbakhsh from Dutch side AZ Alkmaar for a club-record fee. While the club did not release any monetary figures, many in the British media are speculating the deal is for around £17 million. 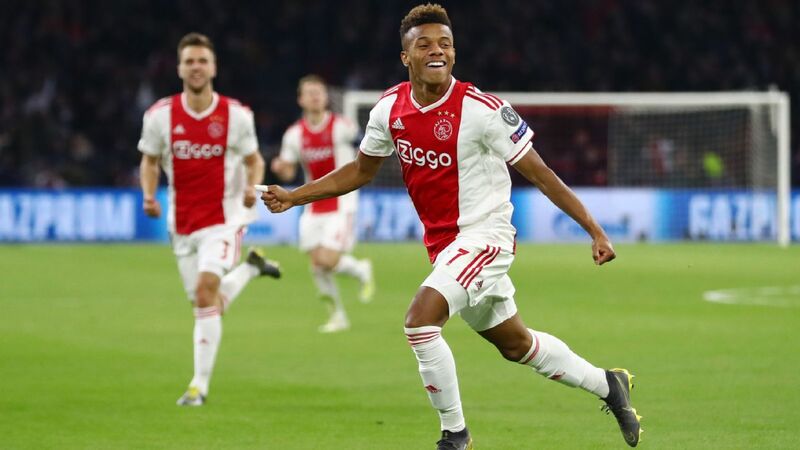 The 24-year-old led the Eredivisie in goals last season with 21 and should be a boost to a Brighton side that ranked fourth from the bottom in the Premier League with just 34 goals last season. 19.34 BST: -- DONE DEAL -- This one had been getting close to the finish line but now Bayern Munich have made it official: Alphonso Davies will be a Bayern Munich player. The 17-year-old Canadian phenom will join Bayern on Jan. 1, 2019 in what will be one of the most high-profile transfers in the history of MLS. Davies has scored three goals and provided six assists with Vancouver this season and has already burst onto the scene at the international level, having scored three goals in his first six caps for Canada. No details have been released at this point regarding fees, potential add-ons or salaries. 19.19 BST: Man City are reportedly closing in on signing Australia whiz kid Daniel Arzani from Melbourne City. The 19-year-old is Australia's next great talent and impressed greatly during the 2018 World Cup for the Socceroos, despite being the youngest player at the tournament. The Manchester Evening News writes that a deal is close and says Arzani will be immediately loaned out to Scottish champions Celtic in order to get more immediate playing time. 18.42 BST: And one of the hottest names in the shop window looks as if he will soon be off it. Sources tell ESPN FC that Monaco and CSKA Moscow have agreed on a fee in the neighborhood of £30 million for Russia star Aleksandr Golovin. Golovin, 22, is expected to sign a five-year deal with the Ligue 1 runner-ups, who have developed a penchant for buying young talent and selling it on for big profits. Golovin starred at the World Cup for hosts Russia, scoring a goal and adding two assists as Russia made a surprising run to the quarterfinals. 18.13 BST: With rumours swirling Alvaro Morata could be on the way out at Chelsea, another Chelsea striker is also being linked with an exit. Spanish radio station Cadena Cope suggests that Valencia have reached out to Chelsea regarding Belgian striker Michy Batshuayi. 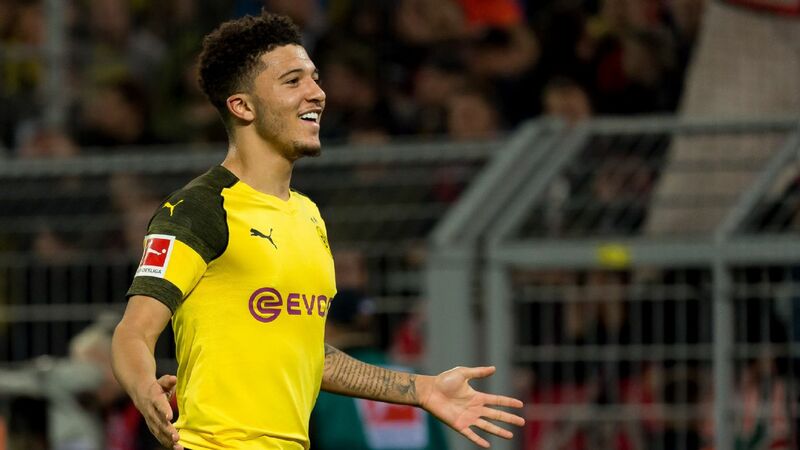 The 24-year-old was always on the fringes at Chelsea under Antonio Conte but was a revelation on loan during the second half of last season for Borussia Dortmund, scoring nine goals in 14 games over all competitions. Batshuayi's long-term future appears to be away from Stamford Bridge, are Valencia the club that will rescue him? 17.52 BST: -- DONE DEAL -- New York City FC have signed free agent midfielder Eloi Amagat. The 33-year-old comes to MLS after his contract with La Liga side Girona ended after last season. Girona has close business ties with both Pep Guardiola and Man City, so it is of no surprise the midfielder has remained inside the club network and landed at NYCFC. Amagat was a bit-part player the last two seasons at Girona, featuring only twice in the league in 2017-18. 17.28 BST: Here's one from the bizarre category. Is Arsenal's move for Steven N'Zonzi being held up by his father? According to Spanish newspaper Estadio Deportivo, N'Zonzi has a unique sell-on clause that goes directly to his father if the player is sold from Sevilla. The Spanish club has refused to sell N'Zonzi to Arsenal for less than his full £36 million release clause so far but there is thought that they could budge if N'Zonzi's father were to rescind the aforementioned personal sell-on clause. You really do see something new every day during transfer "silly season". 16.55 BST: We mentioned Yerry Mina earlier with Lyon but a new club has made an offer according to Spanish outlet Sport. Manchester United is the new club mentioned, the newspaper claiming that his agent -- and uncle -- Jair Mina has received an offer from the Red Devils for the 23-year-old. 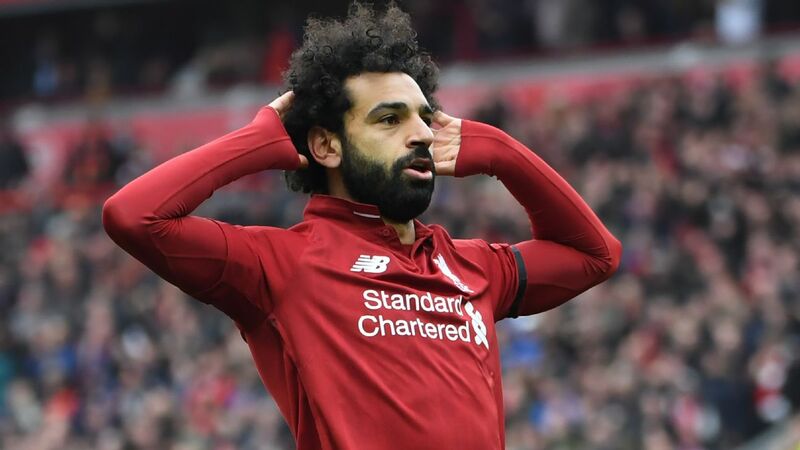 Mina has been mostly closely linked with Everton and Lyon this summer but after a breakout World Cup in which he scored three goals from central defence, could Jose Mourinho and United be set to pounce for the out-of-favour Barca man? 16:26 BST: Fluminese announced they have taken winger Bryan Cabezas on loan from Atalanta with an option to make the deal permanent at the end of the season. 15:45 BST: Aurelio De Laurentiis confirmed Napoli are close to signing Santiago Arias from PSV Eindhoven. "I think that we are now in the closing minutes. We are negotiating," De Laurentiis, Napoli's president, told Radio Kiss Kiss Napoli. "The strange thing is that we are currently negotiating with two players at the same time who play in the same role." De Laurentiis would not disclose the identity of the other player, saying only that it is not Bordeaux full-back Youssouf Sabaly. 15:32 BST: Inter Milan are planning to use the upcoming friendly against Chelsea in France to take a look at Davide Zappacosta, according to La Gazzetta dello Sport. Zappacosta, who joined Chelsea a year ago, would present an alternative should they not be able to sign Atletico Madrid's Sime Vrsaljko. 15:20 BST: Chelsea have sent Mario Pasalic on loan to Atalanta and included an option to buy the midfielder at the end of the season. Pasalic, who appeared in the second half of Chelsea's friendly against Perth Glory on Monday, was loaned to AC Milan in 2016-17 and Spartak Moscow last season. 15:05 BST: Manchester City's £16 million sale of Oleksandr Zinchenko to Wolverhampton Wanderers appears unlikely to happen because of a series of moves involving Barry Douglas, the Daily Mail reported. Defender Jonny Castro left Celta Vigo for Atletico Madrid earlier this week and will be loaned to Wolves, who have sanctioned the sale of Douglas to Leeds United in order to make room -- seemingly leaving no place for Zinchenko. 14:37 BST: Everton officials have travelled to Barcelona to negotiate a transfer fee for Lucas Digne, Sport reported. Barca rejected a first offer and have been holding out for €16 million for the full-back, and now that Richarlison's move has been finalised, Everton can focus on Digne. 14:04 BST: Liverpool have signed Allan Rodrigues de Souza to a new contract and sent him on loan to Eintracht Frankfurt for the season. The midfielder, a Brazil youth international, has been repeatedly sent on loan since joining Liverpool in 2015 and spent last season at Apollon Limassol. 13:41 BST: Lyon president Jean-Michel Aulas reiterated his desire to have Nabil Fekir remain with the club next season. Fekir, who won the World Cup with France, had been close to a move to Liverpool prior to the tournament, agreeing personal terms and completing a medical before deal fell through. "It is difficult for Nabil to find a much better club [than Lyon]," Aulas told L'Equipe. Lyon, however, are open to letting youth academy product Myziane Maolida leave this summer, with Real Betis weighing up an €8 million bid for the 19-year-old. 13:13 BST: While they wait for an answer from AC Milan on a potential transfer for Nikola Kalinic, Atletico Madrid have been considering other options -- and Olivier Giroud is firmly in their sights. According to Marca, the striker is not in Maurizio Sarri's plans at Chelsea, who would be eager to move Giroud to make room for another player. 12:49 BST: DONE DEAL -- Sevilla have announced the signing of centre-back Sergi Gomez from Celta Vigo on a four-year deal. Gomez, the former Barcelona youth product, will help offset the loss of Clement Lenglet, who left Sevilla for Barca earlier this month. 12:43 BST: Bayern Munich CEO Karl-Heinz Rummenigge acknowledged Paris Saint-Germain have made contact with Jerome Boateng's agents over a potential transfer. "At the moment there is no direct contact between the clubs," Rummenigge told reporters. "But I think there is contact between his agents and PSG. "Now we have to wait and see whether at the end of the day we find a basis on which we can agree on a transfer. We have to find a transfer fee that would be acceptable for both." 12:38 BST: The potential return of Leonardo Bonucci to Juventus may be nearing as club officials spoke with their AC Milan counterparts on Tuesday, La Gazzetta dello Sport reported. 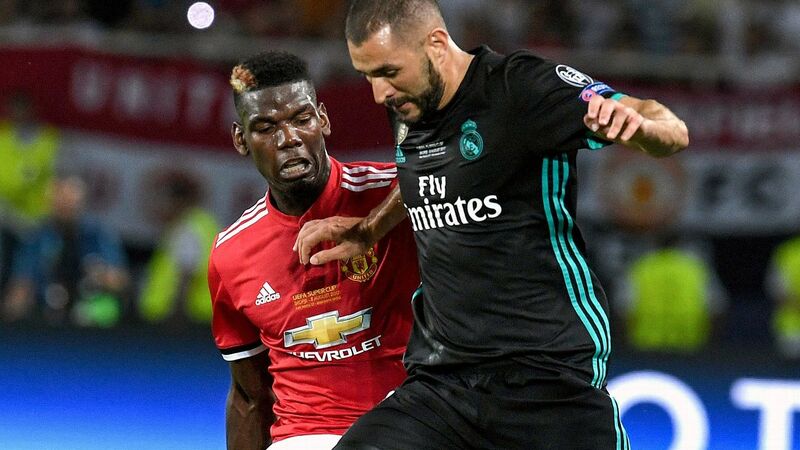 Bonucci could move to the club he left last summer in a swap deal involving Gonzalo Higuain, who has been made surplus to requirements in Turin by the arrival of Cristiano Ronaldo. Holding up any potential deal, however, are Juve's demands that Milan pay €60 million for Higuain, as well as Milan's insistence upon including centre-back Mattia Caldara, who was loaned to Atalanta last season, as a makeweight. 12:34 BST: DONE DEAL -- Paderborn have purchased Bernard Tekpetey from Schalke, with the 20-year-old moving to the 2. Bundesliga on a four-year deal that includes a buyback clause. 12:31 BST: West Ham United announced they have sent midfielder Marcus Browne, who has made one first-team appearance, on a season-long loan to Oxford United. 12:24 BST: Before Malcom signed with Barcelona on Tuesday, he had been linked to a move to a number of clubs -- though Real Madrid and Manchester United both decided they were not interested. According to AS, the two clubs were offered the chance to sign the Bordeaux winger by Kia Joorabchian, who had previously arranged the moves of Carlos Tevez to United (and then to Manchester City), Willian to Chelsea and Paulinho to Guangzhou Evergrande. Madrid, in particular, were not interested in Malcom because they believe that their two options -- Gareth Bale and Marco Asensio -- are better than what he would add. 12:05 BST: Hoffenheim have announced the signing of Kasim Adams Nuhu from BSC Young Boys on a five-year contract. The 22-year-old centre-back started all 36 appearances he made last season and has won four caps for Ghana. Kasim Adams Nuhu and #Hoffenheim have agreed to terms on a long-term deal! The 22-year old defender joins us from Swiss champions @BSC_YB and signed a contract at #Hoffenheim until 2023. 11:59 BST: Watford announced they have sent defender Tommie Hoban on loan to Aberdeen for the season and sold winger Nordin Amrabat to Al-Nassr. The homegrown Hoban, 24, has made 58 appearances for the club and could return in January, while Amrabat, 31, was loaned to Leganes last season. 11:47 BST: Southampton have sent midfielder Jordy Clasie back to Feyenoord on a season-long loan. Clasie left Feyenoord, his boyhood club, for the Premier League in 2015, but was sent on loan to Club Brugge last season. 11:29 BST: The arrival of Malcom has Ousmane Dembele considering his options after just one season at Barcelona, according to Cadena Cope. Dembele, who joined the club from Borussia Dortmund in a €105 million deal last summer, was injured for much of the summer, and his relationship with coach Ernesto Valverde has reportedly broken down. Barcelona, though, are not considering selling Dembele because they consider he and Malcom to be two different types of players. 11:11 BST: Paris Saint-Germain have left for their tour of Singapore without Goncalo Guedes, whose future with the club remains uncertain, according to RMC Sport. Guedes, sent on loan to Valencia last season, could return to the club permanently, but PSG are holding out for €50 million for the 21-year-old, who is under contract for three more seasons. 10:48 BST: Newcastle United manager Rafa Benitez said he doesn't believe his squad is good enough to win in the Premier League. Newcastle have seen a number of players exit this summer -- most recently Chancel Mbemba on Monday -- and he was frustrated by his side's performance in a 2-2 draw against Hull City on Tuesday. 10:17 BST: DONE DEAL -- Monaco announced overnight the signing of defensive midfielder Jean-Eudes Aholou on a five-year contract. Aholou, 24, arrives from Strasbourg and has won two caps for the Ivory Coast. 10:05 BST: New Roma winger Justin Kluivert said he made the right decision to leave Ajax on a €17.25 million transfer in June. "I thought a long time about my decision and I think this is the best for me, and I will give 100 percent for the club," Kluivert told NBC Sports. "Nobody can do more than 100 percent so let's see what it'll be like. I want to be there for the team, and I think we can achieve great things and I want to contribute." 09:43 BST: Crystal Palace are negotiating with West Ham United over a transfer of midfielder Cheikhou Kouyate, according to Sky Sports. Kouyate, a Senegal international, may leave the club if West Ham can prise £10 million from their London counterparts. 09:11 BST: Sporting Lisbon winger Gelson Martins has been waiting in Madrid since Monday to finalise his transfer to Atletico Madrid, according to AS. Martins was among the mass exodus of players terminating their Sporting contracts earlier this summer, but both sides are waiting to hear back from FIFA regarding his legal status. 08:34 BST: Sevilla will firm up their defence with a €15 million move for France under-21 international Joris Gnagnon, AS reported. Gnagnon made 32 starts last season for Rennes, his boyhood club, and will help Sevilla offset the loss of Clement Lenglet, who left for Barcelona, and potentially also Steven Nzonzi, who is eyeing an exit. 08:11 BST: Liverpool are preparing to keep Daniel Sturridge this summer and run the risk of losing him a year from now, according to the Liverpool Echo. Sturridge, who was sent on loan to West Bromwich Albion in January, was beset by numerous injuries while away from Anfield but has reportedly impressed Jurgen Klopp with his attitude and fitness since rejoining the club for preseason training. Jose Mourinho has cut a frustrated figure so far in preseason, but the Independent says the Manchester United board will try to appease the manager by backing him in the transfer market. While that should hopefully improve Mourinho's sour mood, he could still end up missing out on one of his top targets as Chelsea drag their feet over a potential deal for Willian. The Brazilian winger is thought to be interested in a move to Old Trafford, but the Blues' reluctance to enter negotiations has forced Mourinho to consider other options, including Croatia World Cup star Ante Rebic. The often-linked Ivan Perisic and Gareth Bale also remain on United's shortlist, but time is running out to get such a high-profile transfer over the line. Meanwhile, Barcelona defender Yerry Mina has emerged as a new defensive target for last season's Premier League runners-up. French outlet RMC Sport says United are keen on the Colombia centre-back but face stiff competition from Lyon and Everton. Tottenham's transfer business could be set to go from bad worse as The Sun links Real Madrid with a £60 million bid for Hugo Lloris. In what is becoming an all-too-familiar occurrence for the club's supporters, Spurs are yet to sign a single player this summer. 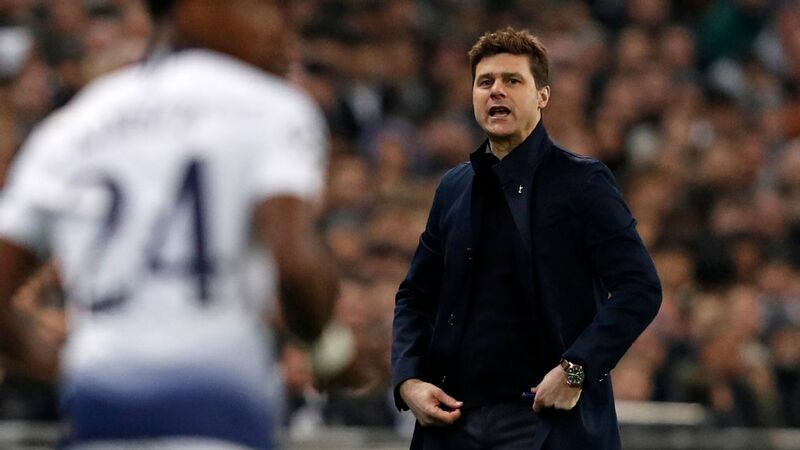 Manager Mauricio Pochettino insists he is not fretting about the situation but, with just 16 days of the window remaining, things are getting tight in North London. And The Sun now claims that Madrid will test their resolve to keep club captain Lloris at the new White Hart Lane. The La Liga giants are also tracking Chelsea No. 1 Thibaut Courtois, but have struggled to strike an agreement with the Stamford Bridge outfit. Lloris has four years left on his contract and is likely to command a fee to rival Liverpool's record-breaking move for Alisson. Maurizio Sarri may be denied a reunion with Gonzalo Higuain as AC Milan enter the race for the striker's signature, says the Evening Standard. Sarri worked with Higuain at Napoli in 2015-16, and had hoped to bring the Argentine to Chelsea in a £57m switch from Juventus. However, Milan have joined the queue to secure Higuain's services, despite also expressing an interest in Blues forward Alvaro Morata. The Standard says Morata is one of a number of names being considered by the Serie A side, with Chelsea responding in kind by enquiring about Gianluigi Donnarumma. Meanwhile, The Sun claims Sarri will snap up former England keeper Rob Green on a one-year deal as backup. - Fulham have won the race to bring Andre Schurrle back to the Premier League, according to Sky Sports. The former Chelsea striker had been linked with West Ham and Crystal Palace after being told he is free to leave Borussia Dortmund. 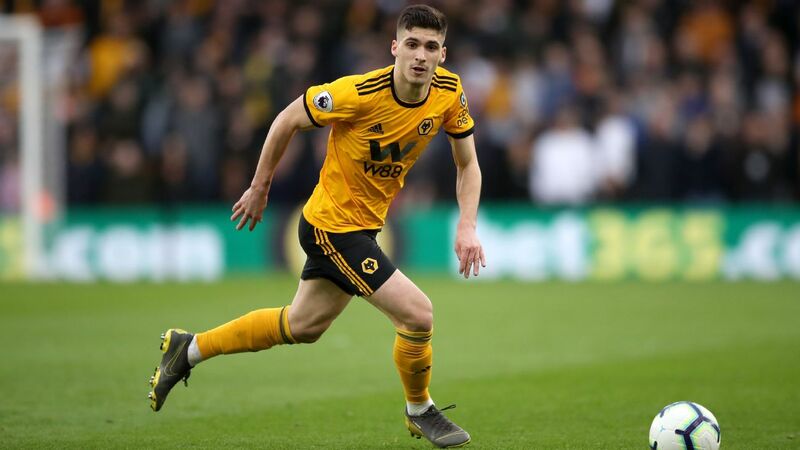 - Wolves are continuing to strengthen for their return to the top flight by signing Jonny Castro on a season-long loan from Atletico Madrid. The Mail says the 24-year-old full-back should arrive for a medical on Wednesday. - Everton's Davy Klaassen could be handed a lifeline by Bundesliga side Werder Bremen, claims Sky Sports. The 25-year-old has struggled to settle at Goodison Park and made just seven Premier League appearances last season.